Good morning all. I hope you are all having a relaxing last day of 2011. I am trying to get myself back in the "school" frame of mind. Only 3 day of Christmas break left. 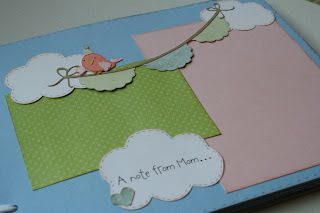 Today, I wanted to share some pages from an album I made this past week. This hot air balloon started out on a "love" card I have in my Etsy shop. It was the FIRST original design I made using my Silhouette cutter, so I'm kind of partial to it. This week I had the opportunity to take that card design and turn it into a book. 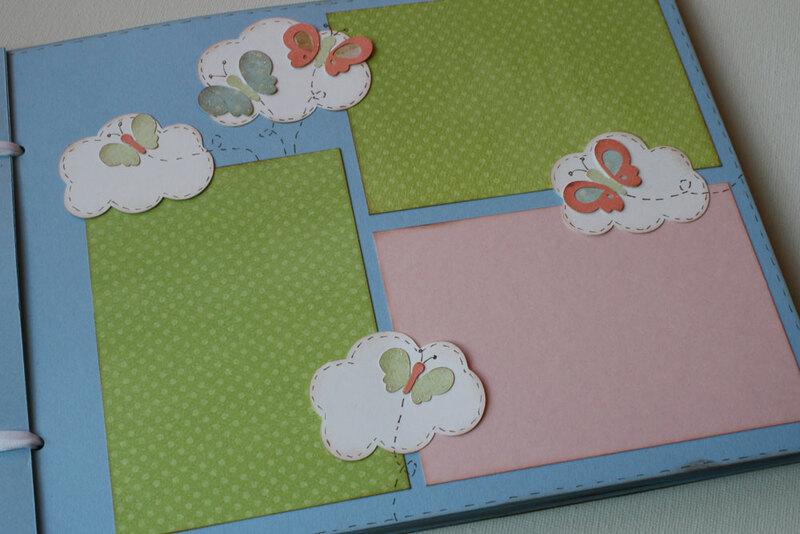 The is a scrapbook/guest book for a little girl's first birthday party. There are pages for pictures of Kinley with her guest and clouds next to the photos for guest to write birthday messages to her. To make it even more special I included a page just for a photo of Mom and Kinley and a place for Mom to write a birthday letter to her. I hope this is something Kinley will treasure as she grows up. Pink patterned digital paper from Katie's Wish on Etsy. Great idea. 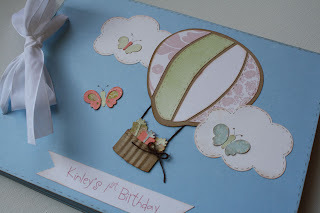 Love all the different elements you used especially the hot air balloon super cute.